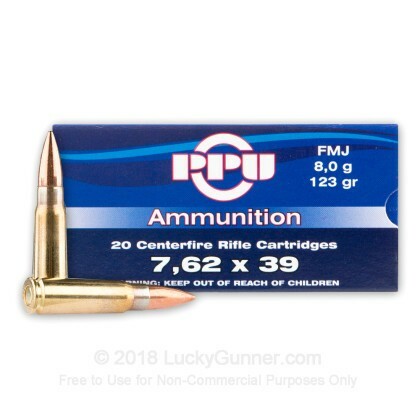 This 7.62x39mm ammo manufactured by Prvi is non-magnetic making it a great choice for ranges with brass cased, non-magnetic requirements. 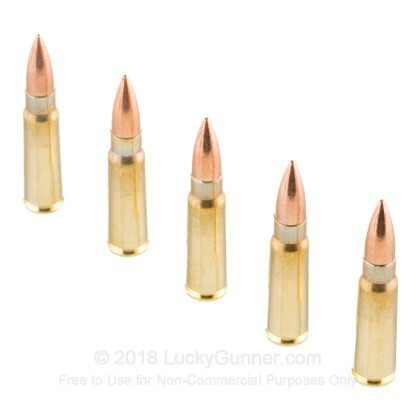 This ammunition also offers better corrosion resistance over steel cased AK-47 ammo. Newly manufactured by Prvi Partizan, this product is excellent for target practice and shooting exercises. Great rounds. 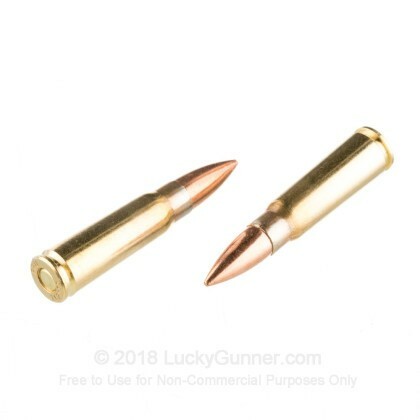 Shot 500 with no failures. Seem/feel very reliable. Will place another order very soon. 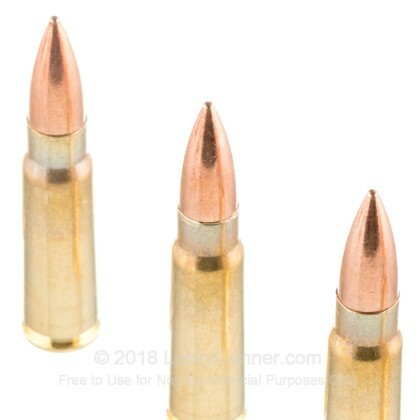 Q: Any steel in these projectiles? A: Hello Larry, These 123gr. 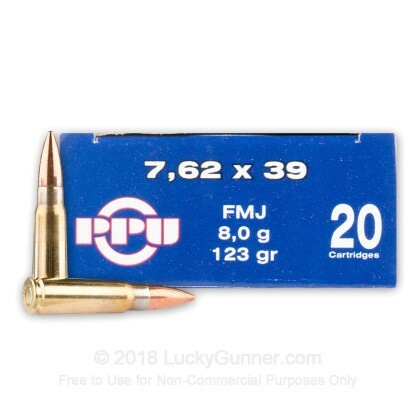 FMJ rounds by Prvi in 7.62x39 do not have any steel in the projectile. They have a lead core, copper jacket, and a brass case. 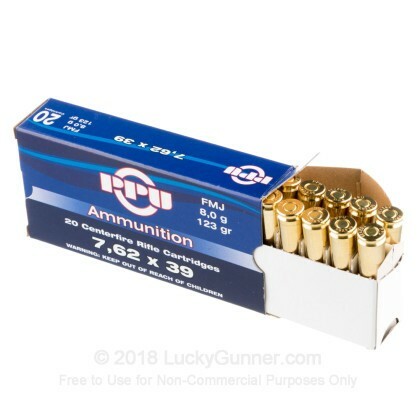 We also have this 7.62x39 - 123 gr FMJ - Prvi Partizan - 20 Rounds ammo in stock in a smaller quantity.